Indoor training has seen a dramatic increase in popularity in recent years. Not only are there some distinct advantages to riding indoors, but the advent of popular training apps such as Zwift, TrainerRoad and Sufferfest (just to name a few), has also contributed to its rise. And whether you’re using one of these popular apps or are just crushing some intervals, a power meter can make all the difference! 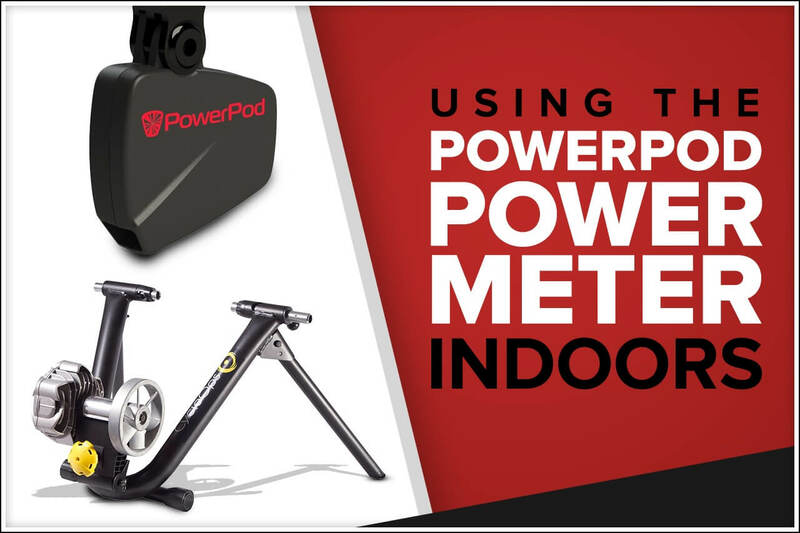 While there are several options for an indoor power meter, in this article we want to focus specifically on the PowerPod power meter and its ability to measure power when indoors. In addition to being highly affordable, most folks are surprised by what this little device is capable of. So let’s learn a bit more, shall we? Most power meters are located somewhere in the drivetrain (pedals, crank arm, crank, hub, etc.) and use strain gauges to measure the direct force the rider generates. These power meters are appropriately referred to as direct force power meters (DFPM). However, the PowerPod works differently. It’s an opposing force power meter. That means the PowerPod measures power by calculating the forces that oppose the rider. These opposing forces are wind, gradient, acceleration and friction. It’s a nifty little power meter, offers some great advantages compared to a DFPM and once set-up and calibrated, provides reasonable accurate data. 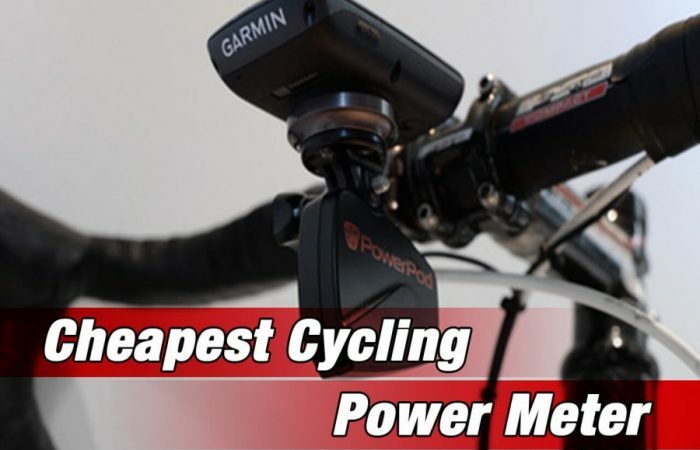 However this begs the question…can you use the PowerPod indoors on your trainer or rollers? The answer is yes. 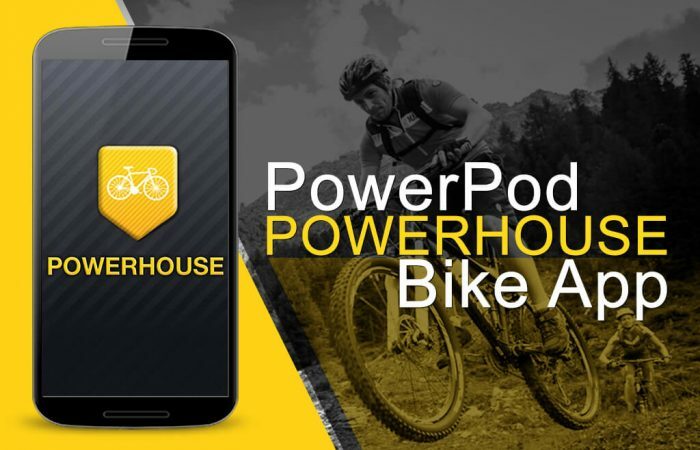 However, since there are obviously not any opposing forces to measure when you are training inside (as your bike is stationary), the PowerPod measures power a bit differently when you are indoors. Every trainer or set of rollers has what is called a known power curve. 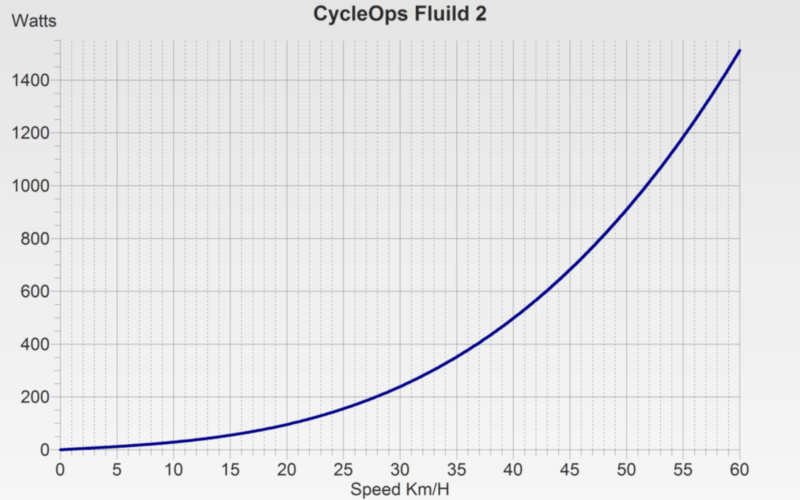 The power curve just determines how much force (measured in watts) it takes to ride at a given speed. The faster you ride, the more force it takes. However, since every trainer or set of rollers has its own resistance characteristics when under load, it’s power curve will also be unique. Take the CycleOps Fluid 2 Trainer for example. The image below illustrates its unique known power curve. As you can see, it takes 200 watts to ride at 27.5 km/h. Or it takes 400 watts to ride at 36.5 km/h. Ok, so why is a known power curve important? Well, if a program or in this case a device, knows both (a) the known power curve of your trainer or rollers and (b) your speed, it can compute your power. 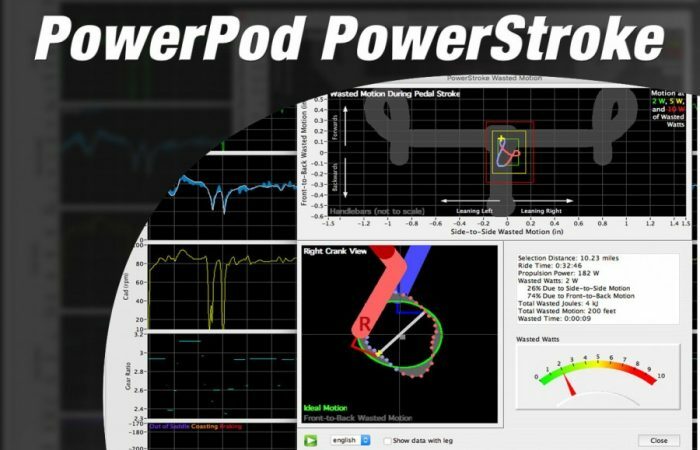 Velocomp (the manufacturer of the PowerPod) has painstakingly programmed the known power curve of dozens of the most popular trainers and rollers into the PowerPod – thereby allowing you to use the PowerPod Power Meter indoors. Specifically, if you want to use your PowerPod inside, you simply set it to ‘Indoor Mode’. Next, just select your trainer or rollers from the list provided in its software. Then, based on your speed (which is knows from your speed sensor), it will compute your power – voila! This method of indoor power measurement actually works quite well as it’s pretty foolproof. To be fair, this technology is not unique to the PowerPod. TrainerRoad for example uses it’s VirtualPower which is the exact same concept. The only consideration here is that you need to make sure your trainer or rollers is on the list. Velocomp doesn’t publish this list that we are aware of, but if you want to check with us we can confirm for you. Oh and one last tip – when it’s time to head back outside, make sure you turn off Indoor Mode – otherwise your outdoor readings will be wacky.